The mayor of Oakville, Ont., has come under fire for a tweet seemingly comparing Stephen Harper’s campaign security team to the militias that served dictators Adolph Hitler and Benito Mussolini. Rob Burton took to Twitter on Friday night to criticize Harper’s decision to enlist the help of Canadian veterans to beef up security on the campaign trail. Burton then posted a tweet in which he attached links to Wikipedia pages on Hitler’s Sturmabteilung and Mussolini’s “Blackshirts” security forces. The tweet has since been deleted from Burton's Twitter account. Within hours of posting the tweet, the hashtag #ResignMayorBurton was trending on social media and Burton was being inundated with messages calling for him to step down. Defence Minister Jason Kenney also weighed in, calling Burton’s remarks inappropriate and pressuring him to apologize. Mayor Burton of Oakville has compared Canadian military veterans who do private security work to NAZIs. 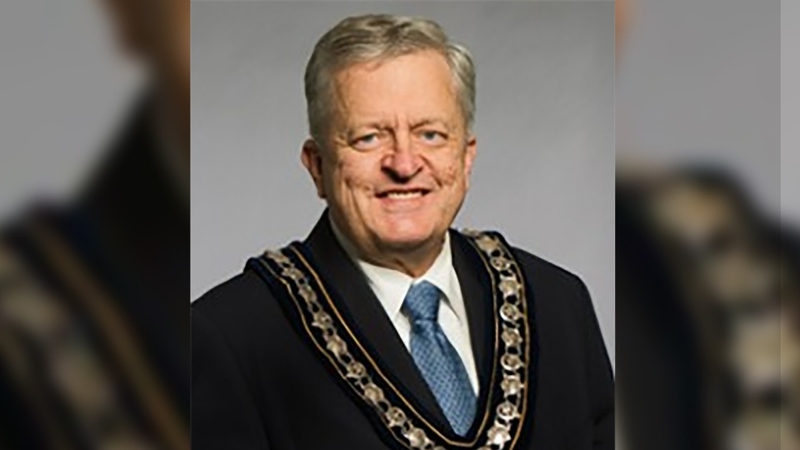 Please apologize, @OakvilleMayor. Meanwhile, Labour Minister Lisa Raitt wasted no time labelling Burton’s behaviour as partisan. “I gather respect for Canada veterans only goes so far with some Liberals. A real disgrace to call the mercenaries,” she said in a tweet. Burton apologized for his remarks on Saturday afternoon, noting they were not intended to be a criticism of veterans, but rather of the Conservative Party itself. “I apologize without reservation to all veterans for my remarks, and furthermore, I regret any impact on their feelings or their pride or their stature. I celebrate the way they went to fight for freedom,” Burton said. I apologize to all vets for my remarks. I regret any impact on their feelings or pride. I celebrate the way they went to fight for freedom. “But I’m disappointed that we’ve lost track of the issue of a political party using a private security detail to detain a Canadian citizen without legal authority or cause,” referring to an incident during Harper’s campaign event in Mississauga Thursday, when a former Canadian Armed Forces sniper escorted a man out for trying to line up behind journalists to ask Harper a question. “I’m not associating Canada’s veterans with anything,” he said. “This is about what a political party is doing, not who they are using to do it. We’re sliding down a slippery slope here where private police forces are being used to undermine the rule of law in Canada. After doing some research, Burton said Hitler and Mussolini were the only leaders he could find that had used private bodyguards. As party leader, Harper is legally entitled to an RCMP security detail on the campaign trail. For this election campaign, however, the party has enlisted the help of Canadian veterans to act as private security personnel at campaign events, in addition to having RCMP officers present at each gathering. Provinces have different regulations for security guards and private investigators but they are required to have a valid license to work, including in Ontario, where Harper has spent the bulk of his time campaigning so far. It is unclear whether the veterans working as part of Harper’s security team hold such licenses, but the Conservatives have said that the party is footing the bill for the extra personnel -- not taxpayers. The Mounties are also providing security for NDP Leader Tom Mulcair and Liberal Leader Justin Trudeau. There is no indication that either of these parties have hired additional security personnel.